One of the most affordable ways to reach your demographic is with fabric signs, also known as soft or textile signage. Fabric and textile signs for Orlando make a great brand impression and create a professional look for your organization. Fortunately, Citrus Sign Studio is your number one source for fabric markers in the Greater Orlando area. In today’s entry, we will take a close look at some of the uses for these signs. Textile banners are the ideal way to invite attendees to a grand opening event, welcome students back to school, and to announce a new product. 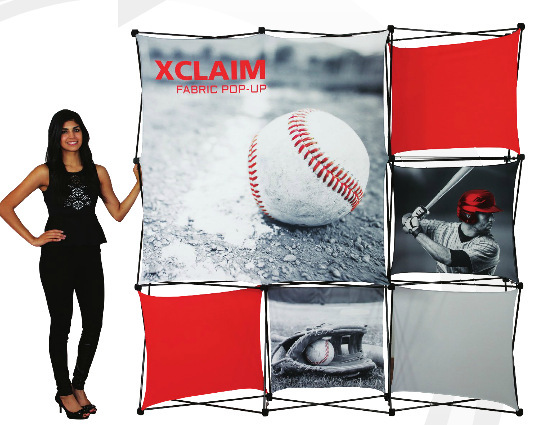 Set the stage for your venue with fabric banners. If you are hosting meetings, conventions, or press conferences, flexible textile backdrops and photography screens are a popular solution. Avant-garde designs create a striking appearance on luxurious fabric murals that cover walls from floor to ceiling. Advertise brand campaigns for retailers in outdoor centers and shopping malls with professional fabric backdrops that use the seamless look of textiles to create a memorable impression. Start down the road to exhibit success with fabric displays and attention grabbing graphics that highlight what your company has to offer. This is one of the most effective ways for you to building your business. As you are traveling across the country or even the globe, textile markers are easy to ship, can be folded to fit into small boxes, and are lightweight. 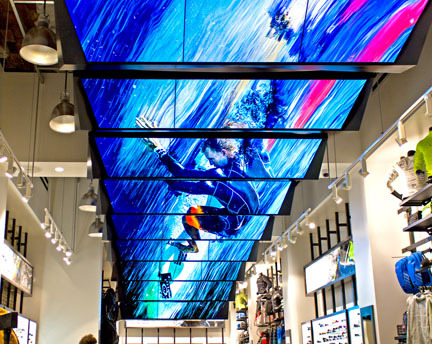 Vibrant fabric displays are easy to install, transport, and carry. As a backdrop for high profile meetings and conventions, fabric signs transform your venue and welcome attendees. You can let your imagination run wild, and our graphic designers are always up for a good challenge. 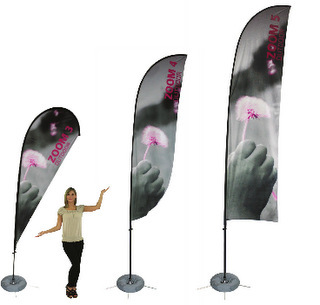 At your next corporate event, use fabric flags to produce a memorable experience. One of the best advertising and marketing signs for Orlando events or enterprises is larger than life billboards or building wraps that command the attention of all who pass by. Textiles can be used to enhance the architecture of any facility and are perfect for building wraps. To give people a clear, unobstructed view of your upcoming event or marketing message, fabric signs take advantage of your already existing building design. These are just some of the main benefits of fabric signs. They are the perfect alternative when you need something that goes beyond what paper or vinyl banners can deliver. When you contact the Citrus Sign Studio, we will listen carefully to your goals for the project. Then, we will make recommendations based on your budget, vision, and building layout. Once you approve of the proofs we provide you with, we get down to work printing your custom textile sign on our state of the art wide format digital printer. And, we work with your schedule to install your banner at a time that is convenient for you. Ready to take advantage of these sophisticated signs? Contact our friendly professionals today for a free consultation.